Even though our event handlers are set up to draw dots when the user taps the screen, no dots are appearing on iOS devices. Why not? 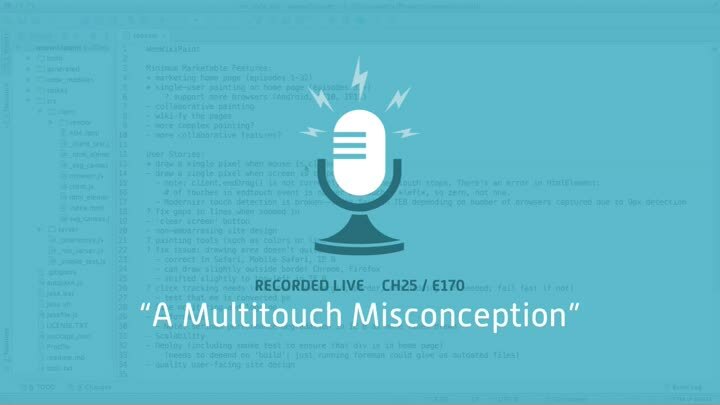 The problems lies in a misconception about multitouch events. With this episode, we start a new chapter focused on fixing our multitouch problem and getting taps to work properly on iOS.